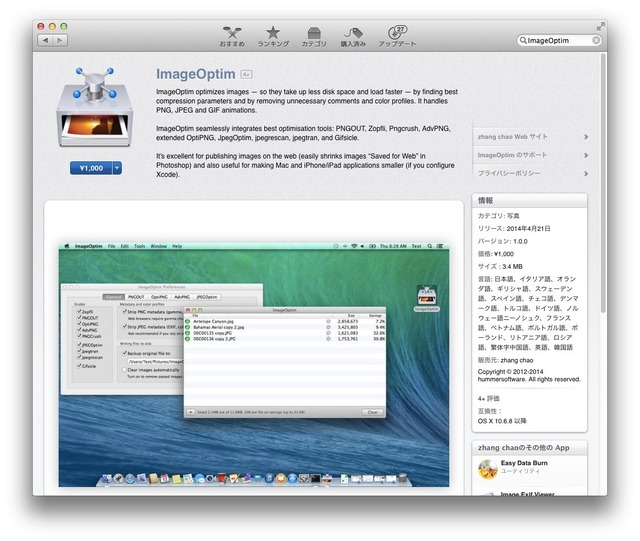 画像圧縮アプリ「ImageOptim」の有料海賊版がMac App Storeに登場し、作者が注意を呼びかけ。 | AAPL Ch. Unfortunately not, and currently there’s an illegal copy in the App Store. ImageOptim is given on terms that basically say “you can do whatever you want except taking away this freedom from others”. Apple does not allow such permissive terms. Apple requires all App Store users to accept legal restrictions in the iTunes EULA and puts DRM (copy protection) on all App Store apps. @ErikBooij the App Store version is pirated. It’ll be removed soon, so don’t waste your money. @daniel_v not legit. It’s pirated.